As you read this children at two of Dubai’s primary schools Dubai English Speaking School (DESS) and Jumeirah English Speaking School (Arabian Ranches) are training as hard as future Olympiads for the upcoming British Schools in the Middle East (BSME) Games. BSME is one of the largest organizations for British Curriculum schools in the World, with a membership of seventy schools educating over 60,000 children in thirteen countries and employing over 5000 teachers. The website gives a list of all member schools. BSME also serves as a meeting point for members to discuss issues that arise out of being a British-style school in the Middle East region. These games are in their 7th year and will be taking place in Doha at Al Khor School. The concept of these games were started by St Christopher’s School in Bahrain hosting 5 schools in 2003. Since then the games have expanded and this years event will see twelve schools taking part. Schools compete in Netball, Basketball, Swimming, Athletics & Football over an intensive three day period. Each squad must consist of an equal amount of girls and boys making the games very fair and exciting. Last year the games took place in Cairo, Egypt with MES, Modern English School hosting the event. 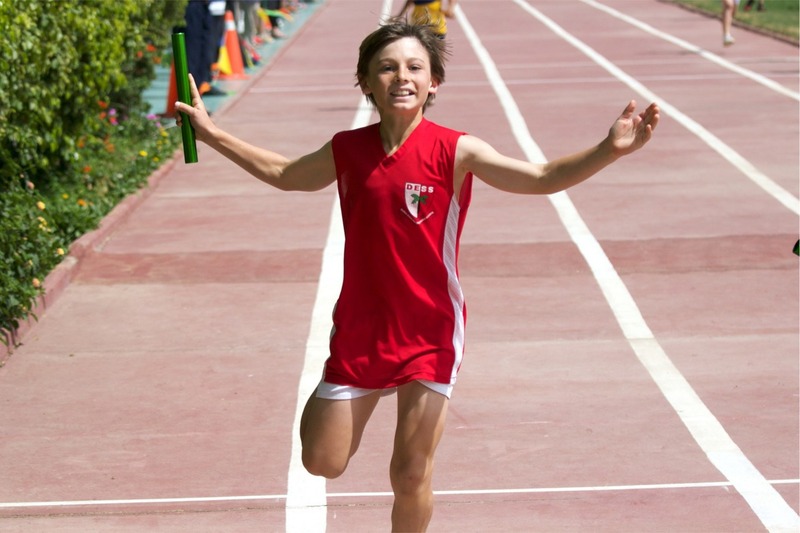 The games were a great success for DESS Dubai, winning 3 sporting titles. As the games are now such a big occasion, the event has been split into two events. One for the bigger schools & another for the 2 form entry, smaller schools in the Middle East with Horizon School from Dubai going into the latter games as reigning champions. The biggest competition to the Dubai schools competing in the larger games will come from Al Khor School Qatar, St Christopher’s Bahrain and DESS Doha. As well as sports competitions BSME also arrange music events getting together choirs, bands and orchestras. Hundreds of students from across the Gulf region participate in these events supported by visiting staff and musicians. Move One would like to wish all the schools from Dubai competing in this years BSME Games the best of luck!